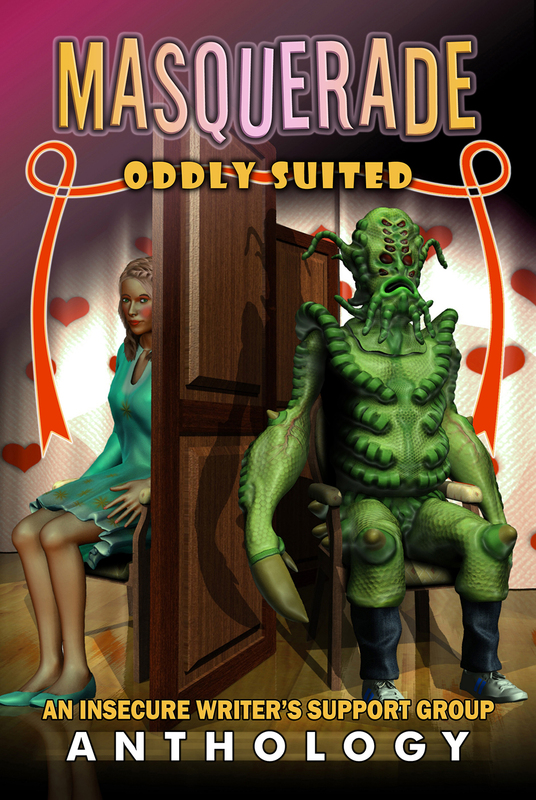 The release day for Masquerade: Oddly Suited is just over a week away! In the Easter Tradition of Masked Balls, the contributors to the anthology have gotten together to host a special mystery bloghop leading up to the book's release on April 30th. Today I'm hosting one of my fellow authors. He or she will share a teaser from their story in the upcoming anthology, but you have to guess which author/story it is. 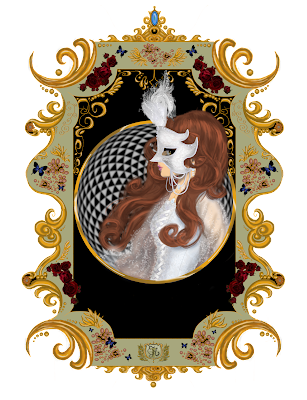 Each author will "unmask" his or her own character and story on April 30th. Got it? Are you still coming down off the sugar high from chocolate bunnies yesterday? 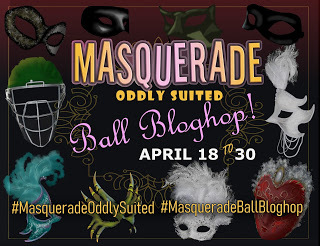 Welcome to the Masquerade Ball Bloghop! Excruciating pain rippled through me, sucking the air from my lungs as I lay on the ground. My vision and sight vanished. They returned the moment I was able to draw in blessed air. I gasped, tears burning down my cheeks. I became aware of strong arms lifting me from the hard ground, pressing me to a strong body wearing stiff clothes textured with rough lace and jewels. The sound came to me as though I’d slipped far beneath the surface of water. “Wilmot, fetch the royal physician. Hudde, you oaf of a lout, did I not say the beast was not ready for a lady?” The speaker’s deep voice resonated from his chest to my ear. Muffled conversation reached me followed by a shrieking sound that reminded me of a cat. It called a few more times until I realized it belonged to that of a peacock. I cleared my throat, my body still in shock from the fall. After gathering my wits and blinking against the brilliance of what I discovered as sunlight, my eyes came to a sharp focus on a face carved out of translucent alabaster—his cheekbones high, nose narrow, lips full. 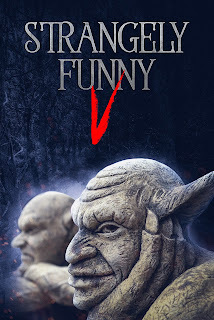 His dark brows furrowed and long lashes swept into an upward curve. At first, I believed it to be a statue until he blinked his liquid gaze of amber. I gasped, lifted a trembling hand, and grazed my fingertips along the strong angle of his smooth jaw. He closed his eyes and brought my hand to his warm lips. The simple touch sent a jolt of heat down to my toes. My body then remembered itself and I could move. “Are you well?” His musical voice strummed a familiar chord deep inside me and I couldn’t place where I’d seen him before. “I am now,” I whispered, wiggling my toes. His smile cleared the clouds from the sky and stole my breath. He loosened his hold from around me until my feet touched the ground. His arm stayed fast as he redirected his breathtaking gaze. “Because of you, Hudde, Lady Iveta had lost herself. Thankfully she is well now.” He spoke to someone who moved nearby. 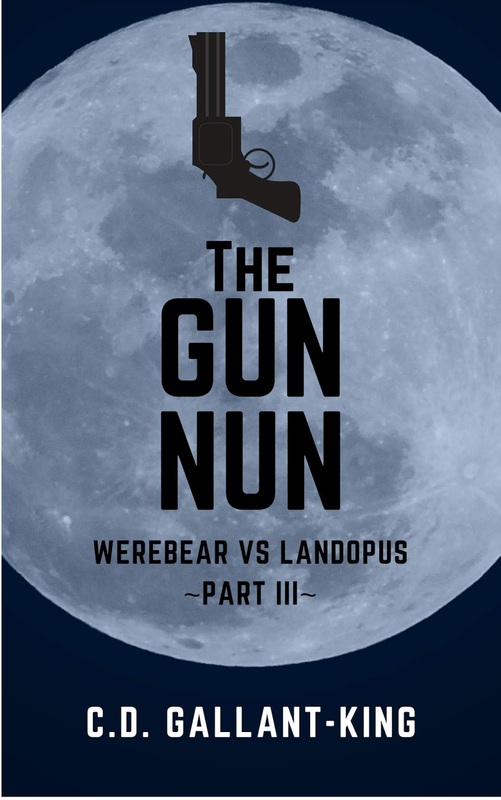 I followed his gaze and found a scruffy man with a bowed head. He wore a simple brown shirt tied with a leather belt over loose-fitting leggings and leather boots. “Please forgive me, my Prince Dominic,” Hudde said. I didn’t want to see stress marring his face, so I said, “I found it enticing to keep myself from riding such a fine horse, my prince, and so I ask your forgiveness on behalf of Hudde. I had stolen away while he busied himself in the stables.” I didn’t know where that explanation came from but it felt right. I nodded, staring into his hypnotic gaze. Hudde bowed deeper and scurried off to do his bidding. I stared up at him in awe. How could I forget someone like him? I have enjoyed writing for as long as I remember. I started out with short stories in elementary school, expanded to angst poetry the first part of high school, then explored epic novel-writing my senior year. I can write 50k words under a week if the kids cooperate. The best part of writing for me is when the characters come to life on their own--better than going to the movies! 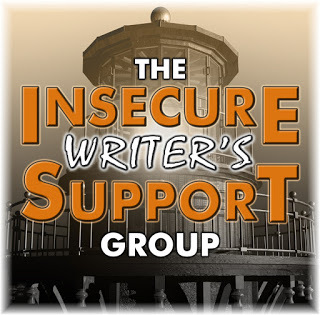 I love my writerly friends. Can you guess who our guest author is? 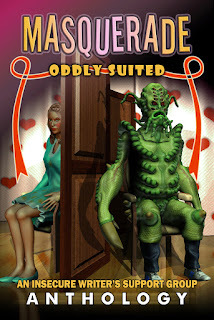 In case you're looking for a little extra helping of the Masquerade: Oddly Suited contributors today, be sure to swing by Alex J. Cavanaugh's blog to check out a short piece where ALL of the authors discuss their favourite romantic movies! Can you guess what mine is? Be sure to visit Alex's post today to find out.